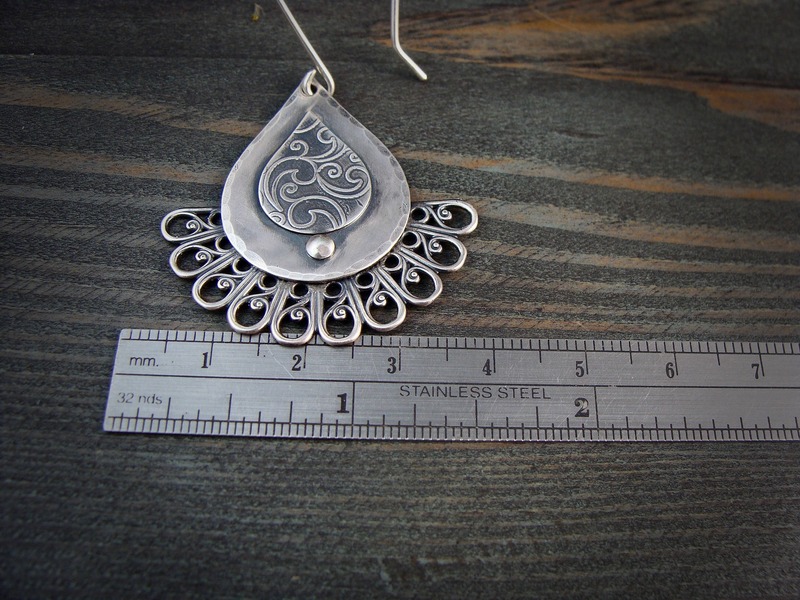 These pretty sterling silver teardrops have been embellished with a roller printed, floral design at the center. 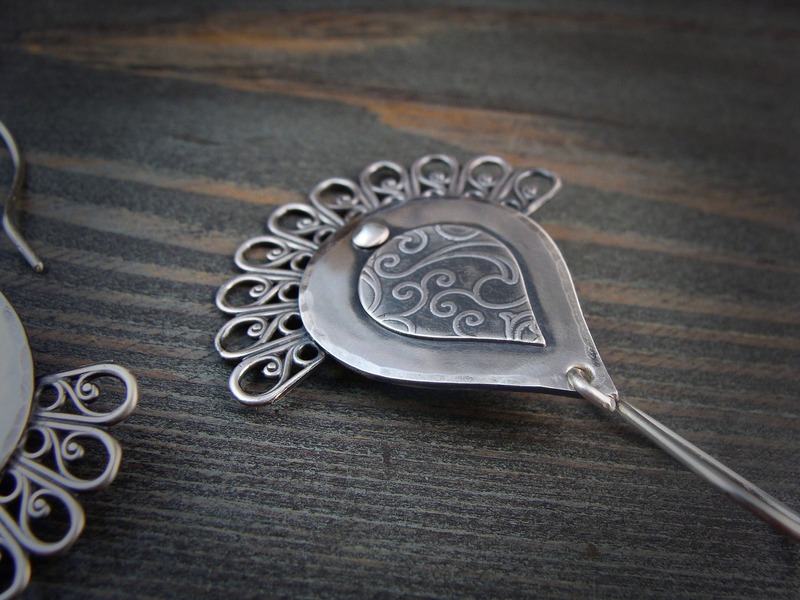 The sides of the metal have been lightly hammered to catch the light. 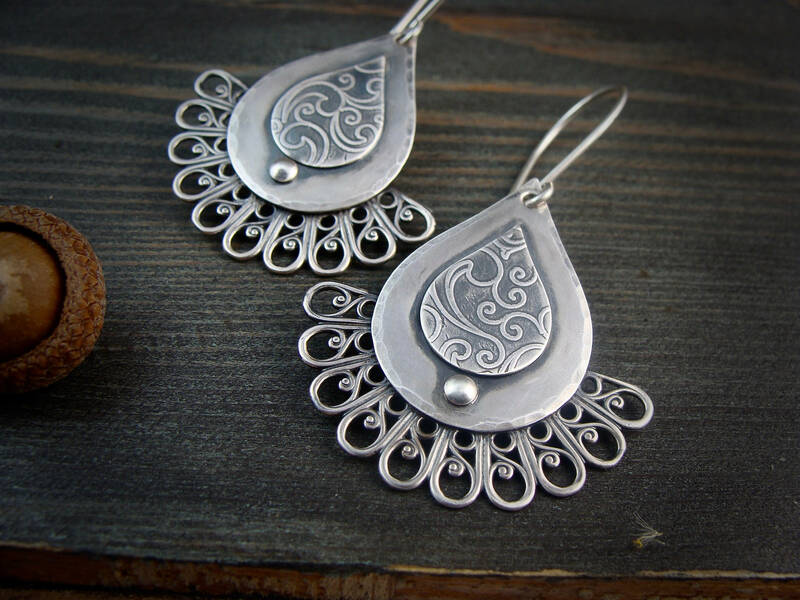 Fans of sterling silver filigree decorate the bottom half of the earrings. 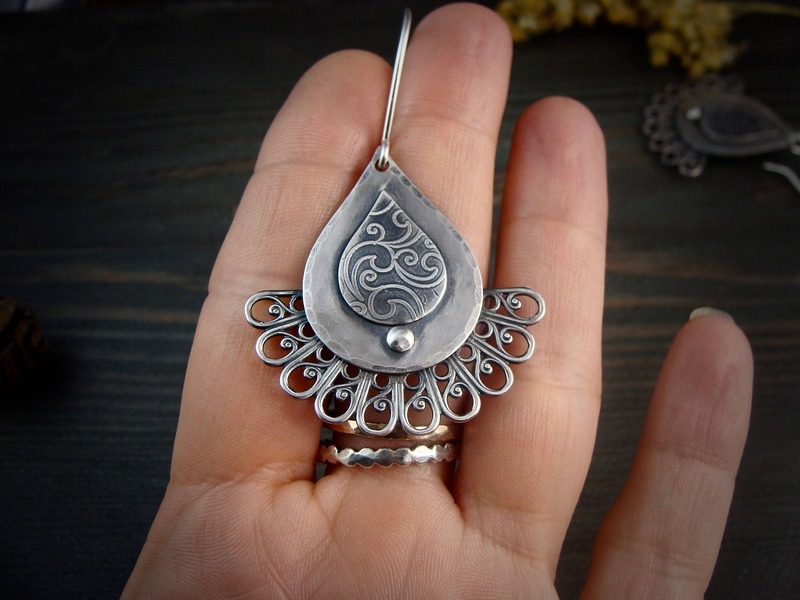 The silver has been given a dark patina to give that time worn look. 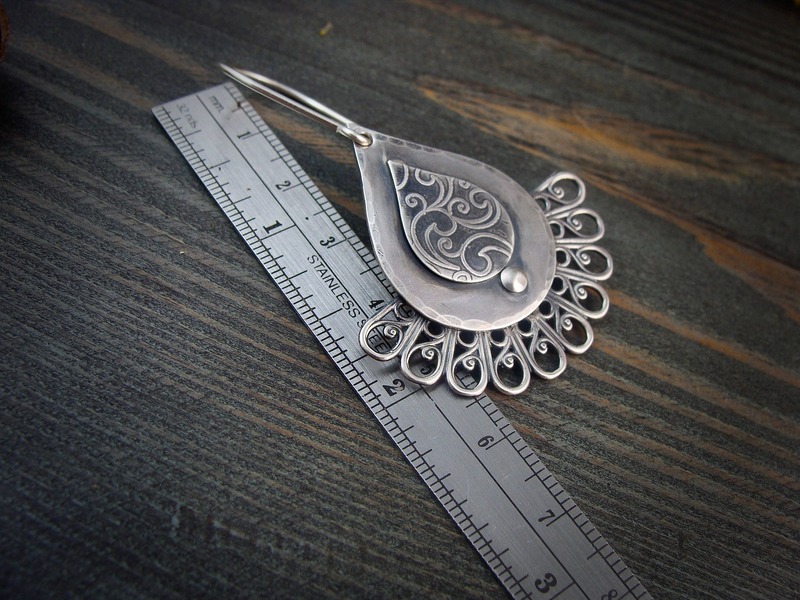 The earrings sway from 18 gauge ear wires. As pretty as they are unique. 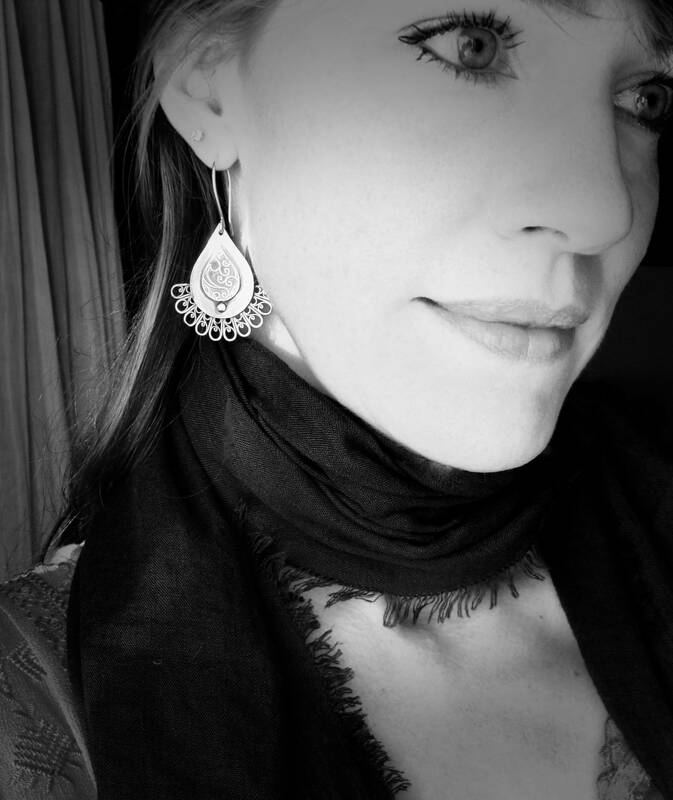 These are my new favorite earrings. I was a little worried that they'd be too heavy, but they're not at all. So beautiful!